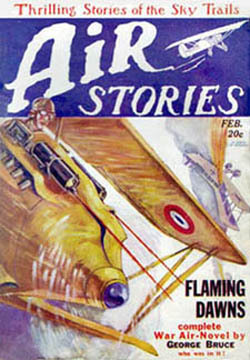 George Bruce 1930s old time radio stories of aviation. World War I was a test bed for airplanes as a weapon and it was proved decidedly that war had entered the skies. George Bruce was a pioneer World War I flyer and told his own stories from the first great war as well as stories from other fighter pilots. 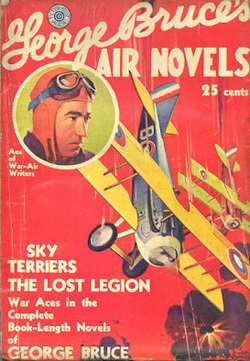 Bruce profited well from his pilot career by producing a number of pulp productions bearing his name: George Bruce's Aces, George Bruce's Air Novels, George Bruce's Contact, George Bruce's Sky Fighters, and George Bruce's Squadron. I. Cannot single out one show,they are all GREAT!.they take me back to my youth.